LUVVITT CLEARVIEW protects your HTC One M8 while showcasing it's beautiful design. 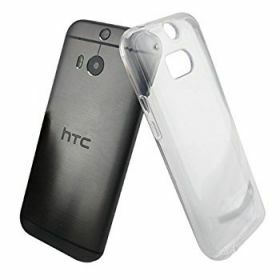 This transparent case combines a hard, crystal clear Japanese hard back cover with soft, shock-resistant German Bayer branded TPU edges to guard against scratches and bumps. Mimics the design of your HTC One M8 to preserve the natural, naked look. Hugs each and every corner of your HTC One M8 and allows you to get a better grip with excellent protection. 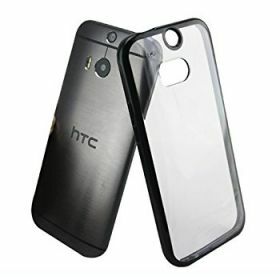 The wrap-around beveled edges provide a lip that is higher than the screen level to protect your screen from contacting the surfaces and provide a lay-on-table design.It's very light and slim so you can enjoy your HTC One M8 without adding bulk and weight.